Live: The 'Lowfer' Watering Hole around 185.300kHz; refreshes every minute. Dec. 8th., '05 - MO, TMO, XGI. Nov. 17th. '05 - TMO, BRO, et al. The 'Grabulator': Periodically refreshing spectrum-vs.-time display, usually once a minute, as captured by 'Argo' . Most typically it is activated when a significant LF operating event (e.g. 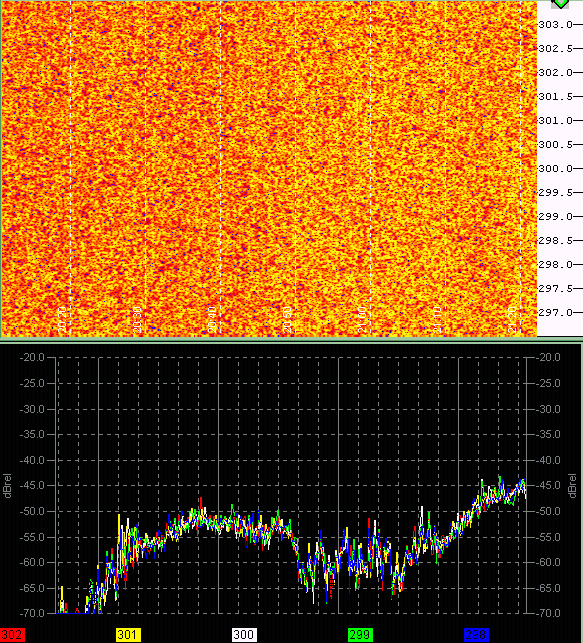 Transatlantic tests, 'Lowfer' 185.3kHz 'watering-hole' activities etc.) are underway. 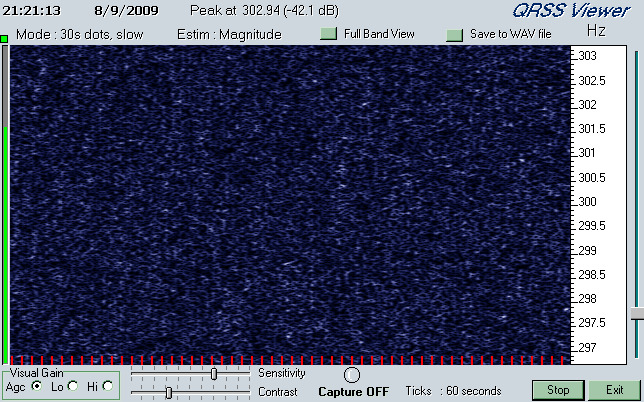 'Argo' is the premier tool for rendering visible very-low-speed Morse code (QRSS) with dot-lengths of between 3 and 120 seconds (QRSS3 - QRSS120) and sundry boutique modes such as HELL. Depending on the expected signal format, the above 'Argo' screen can represent between a couple of minutes and a few hours of captured time; refresh time will likely change accordingly also. The entire 'Argo' display is shown, since much valuable information for aiding interpretation is on there. Argo's Greatest Hits . . . Some choice captures. Or perhaps a rogues gallery. LightningStorm.com . . . to see if that's what the problem is. It usually is.